Xunantunich Mayan Ruins, Maiden of the Rock, is a maya site located in Western Belize, Cayo District. It is situated on the Western Highway across the Mopan River in San Jose Succotz Village. A hank cranked ferry transports travelers across the river, followed by a short scenic drive to the entrance. The Park entrance has a few gift shops, facilities, a check in booth. Before heading up to Xunantunich, visit the museum filled with many artifacts and ancient history. Xunantunich grew to a population of nearly 10,000 inhabitants. 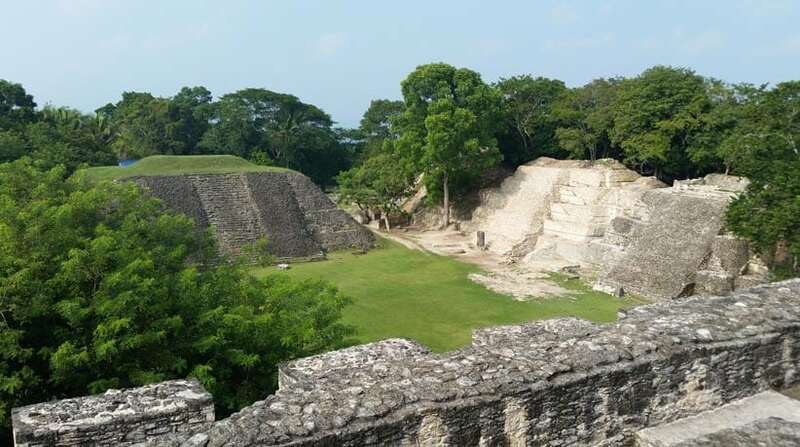 The name Xunantunich comes from the Yucatec Maya language which means “Stone Woman". The Core of the city contains a series of six plazas surrounded by more than 26 temples and palaces. 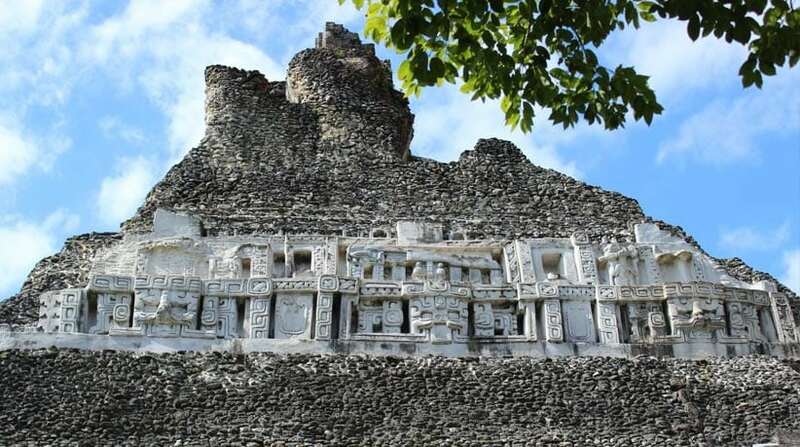 One of its main pyramids is known as “El Castillo”, which is the second tallest structure in Belize measuring 130 ft from the plaza floor. From the top of the pyramid you can enjoy spectacular views overlooking miles of jungle and farmland with the towns of San Jose Succotz and Benque Viejo Del Carmen on the Belize side and Melchor de Mencos across the Guatemalan border. Of El Castillo’s two stucco friezes, the western side had most of the stucco destroyed, but the eastern frieze is more complete, clearly displaying various motifs and symbols of Maya astronomy and cosmology. The vaulted rooms at the top of El Castillo provides shade and are a welcome place to relax after the steep walk up and take in the views. This is a great site for a day trip or picnic. Walking around and exploring the ball courts and other structures fires the imagination, though it’s not as famous as Mexico’s Chichen Itza. It’s not as tall as Guatemala’s Tikal, but in western Belize, the Xunantunich Mayan ruins is as perfect as a picture. 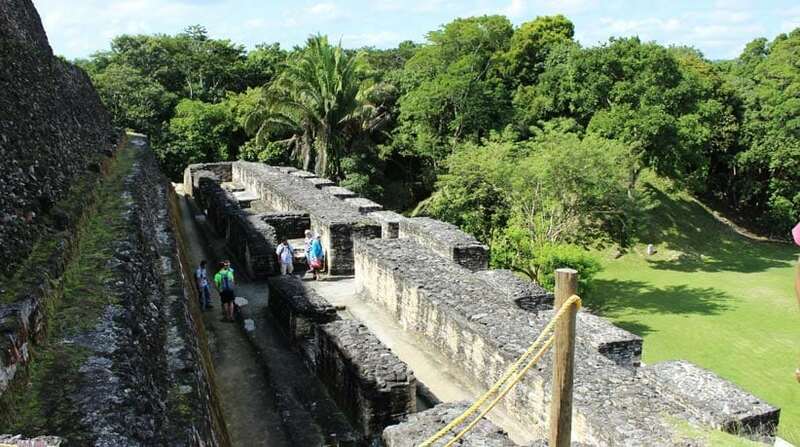 Xunantunich Mayan Ruins Tours is usually combine with Cahal Pech Mayan Ruins tour or Barton Creek Cave tour. This tour can be done whether your staying in Belize City or as far as Placencia Peninsula. You will be provided with an in-depth historical background of this site by the expert tour guide. Remember to bring along a camera, sun block, hat, hiking shoes, shades, canteen and tons of energy! Enjoy! Tours include: Transportation, Guide, Entrance Fee, Bottle Water, Soda, Tours Equipment. Lunch is included if you book a combination (full day) tour. Sign Up for the Xunantunich Mayan Ruins tour! Where are/will you be staying? Luis is one of the top tour guides for the ATM Cave. Information on this attraction and other sites are found on many blogs. On your trip to beautiful Belize, you can travel and explore the exciting and Fun Adventures! Copyright © 2019 KaWiil Tours - Sites & Activities, San Ignacio Belize | Privacy res - Terms - Sitemap -::- Managed By: Belize Website Solutions.